Mayoral candidate John Tory is wading into a contentious council race, picking Joe Mihevc over Josh Matlow as the incumbent councillors face off in Ward 12 Toronto-St. Paul’s. 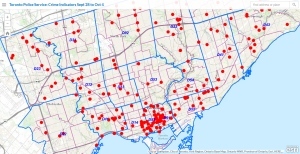 It’s the second endorsement the incumbent mayor has made this campaign and the first in a race where two previous incumbents are facing off against one another after the Ford government shrunk the size of city council from 47 to 25, merging wards together to match the provincial ridings in the city. 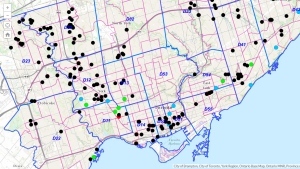 Tory says in the robocall that Mihevc has served in the old Ward 21 as his poverty reduction advocate since the death of downtown councillor Pam McConnell. “I am confident I can work with him in the next term on poverty and many other issues,” Tory says in the robocall. For his part, Mihevc says he’s delighted by the endorsement. But he’s not returning the favour, saying his residents support both Tory and Keesmaat. Mihevc’s main opponent, Matlow, served as the incumbent council in the adjacent ward, Ward 22, under the previous 47-seat system. Speaking to CP24 on Friday, Matlow suggested the endorsement of his opponent was punishment for criticizing the Scarborough subway extension, which Tory supports and wants no more debate on. “I know that there are consequences when you take a stand for honest transit plans, but at the same time I am going to keep doing it,” Matlow said. He said that he agrees with Mihevc on more issues than they differ on, and questioned the value of an endorsement from the sitting mayor on his race. 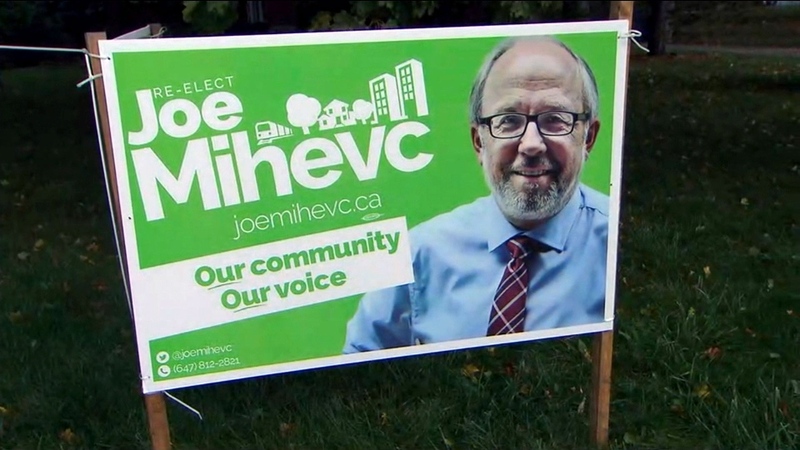 A campaign sign for Joe Mihevc in Ward 12 is seen.